For the past two weeks, I've watched eleven films by the delightful French director François Truffaut. Viewing Truffaut's work has been a nice antidote to today's cinematic fare of bloated and insensitive turkeys. (For my other marathons, see Kubrick, Bergman, Kurosawa, Antonioni, Russian, and Buñuel). 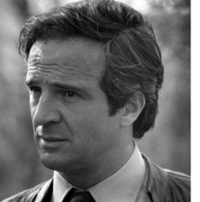 Truffaut (1932-1984) was at the center of film's "French New Wave" in the 1950s and 1960s. Truffaut was a proponent of "auteur" theory, which is that a film should reflect the director's personal creative vision. Truffaut's films are generally loosely constructed narratives and focus on human relationships. Many of his films are semi-autobiographical, and show great sensitivity to women. Also, Truffaut liked to work with a small cast and crew thus giving his films an "approachable" feeling. These are the films I watched. (I've placed a + next to my four favorites). +The 400 Blows (Les Quatre cents coups), 1959. Starring Jean-Pierre Leaud. This was Truffaut's breakthrough film (he won best director at Cannes), and is based on his own teenage experiences and misadventures. A must-see. Shoot the Piano Player (Tirez sur le pianiste), 1960. Charles Aznavour. Semi-farce, semi-tragedy about artists and gangsters in late 1950s Paris. Truffaut's homage to American film noir. +Jules and Jim, 1962. Jeanne Moreau, Oskar Werner, and Henri Serre. Based on the semi-autobiographical novel of Henri-Pierre Roche. Set in pre and post World War I France and Austria, it's the story of two friends and the woman who comes between them. Fahrenheit 451, 1966. Oskar Werner and Julie Christie. Based on the Ray Bradbury short story about a state that burns books to encourage unformity of thinking. Truffaut's only English language film, and also his first film in color. I originally saw this in 1968 and thought it was "so-so." It has aged well, though, and on my recent viewing, I came to appreciate Truffaut's choices (i.e, it is not as heavy-handed as it might have been if done by another director such as Otto Preminger). It's fun to see the various books that are burned. Stolen Kisses (Baiers voles), 1969; Bed and Board (Domicile conjugal), 1970; and Love on the Run (L'Amour en fuite), 1979. All starring Jean-Pierre Leaud. These three are part of what is called the "Antoine Doinel series" which covers the life of the character who first appeared in "The 400 Blows." It's fun to watch Jean-Pierre Leaud grow up! Also, nice glimpse of Paris of the late 1960s. Wild Child (L'Enfant sauvage), 1970. Based on an 1798 incident in which a ten year old feral child is brought into society. Truffaut plays a doctor who attempts to "civilize" the youth. Feels right out of the sixties. +Day for Night (Nuit americaine), 1973. Jacquiline Bisset. Winner of the Oscar for best foreign language film. Truffaut's inside look at how a film is made. Focuses on the foibles and interactions of cast and crew. Truffaut himself plays a director (and he's actually pretty good!). Well worth seeing. The Story of Adele H., 1975. Isabelle Adjani (nominated for best actress Oscar). About the life of the schizophrenic daughter of Victor Hugo in the 1860s. Quirky, but interesting. +The Man Who Loved Women, 1977. Charles Denner. Comedy about a man who is drawn to women (who are also drawn to him). Provocative insights about the dynamics of attraction and courtship. What are your favorite Truffaut films? Didn't he direct The Woman Next Door (La Femme d'à côté)? I can watch that movie over and over again, but Jules et Jim is my favorite. Missy: He did; it's one of his last films (1981) starring Gérard Depardieu and Fanny Ardant. Roger: Seems we share not only a love for creative thinking, but a love of Truffaut, too. I highly recommend The 400 Blows. What a great film. I would recommend that you check out Jacques Tati's "Playtime". Besides being entertaining and funny, it is very creative. I like small cast films - they feel closer to being a live stage performance.